God gave only one color to Rajsthan i.e. desert gold but men made it the most colorful and vibrant abode on the earth. As soon as you enter Desert State of India, Rajasthan, you will be welcome by 1000 shades of varied nuances, some complementing life and some defining life, attributing a definite charm to Rajasthan. On world’s travel map, Rajasthan certainly commands the crown position which is a mix of royalty and rawness/ruggedness of desert life soaked in century old history and aged traditions. No journey to Rajasthan is complete without traveling to five cities Jaipur, Jodhpur, Jaisalmer, Udaipur and Bikaner. 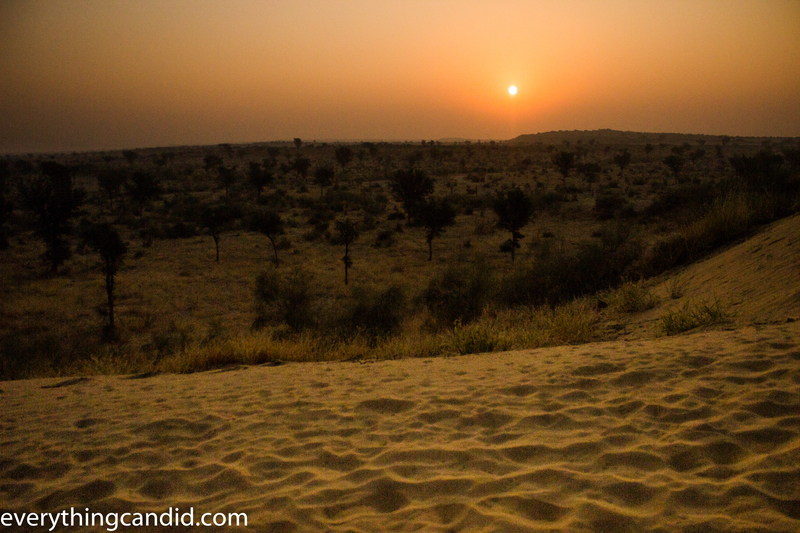 During our first road tripping to Rajasthan, we covered Bikaner and Jaisalmer and the entire experience in this desert province was first of its kind. Our first stop was Bikaner which has a typical earthy aroma and a worldly décor of tradition and heritage wrapped in ages old history. From Delhi, going 600 KM westward bypassing Jaipur, The Bikaner is the gateway to effervescent Rajasthan, adding a tinge of medieval life to it. My very first memories of the name Bikaner associated with the famous indian savory Bhujia a typical fried delicious snack preferred all over the country and I am sure that’s the case with every Indian. The every iota of air in Bikaner is filled with aroma of fried Bhujia/Kachori/Samosa/Jalebi when you roam around in old city. Every other shop on station road sells snacks and sweets and outside each of them are piles of pakoras, kachories, and omnipresent Bhujia in 10 different avatar. In a sense, Bikaner is the first geographical tagging that we were imposed with deep in our mind due to its famous Bikaneri Bhujia, epitomizing it as the land of snacks. However, other than this famous gastronomic pedigree, for a travel enthusiast Bikaner makes for an interesting destination offering stretched desert, imposing Junagarh fort, magnificent havelis, revered rat temple, camels everywhere and much more. 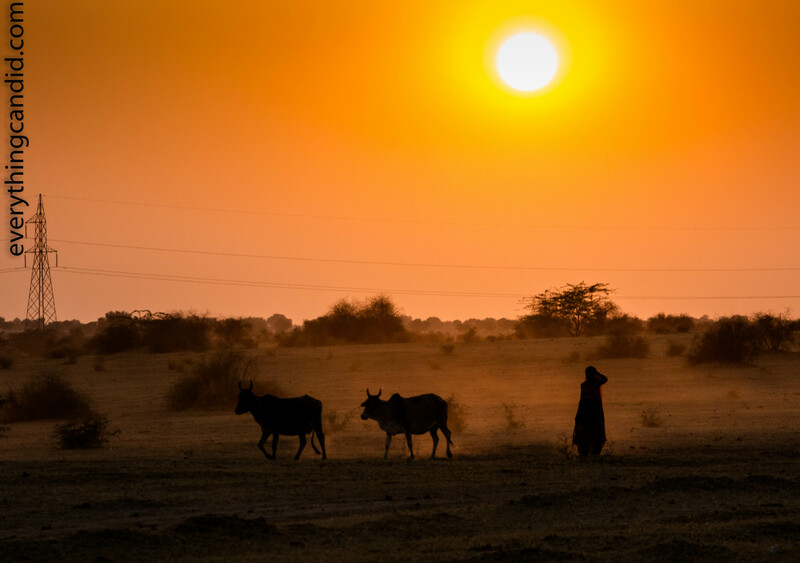 It’s less dominated by tourists than many other Rajasthan cities, though it has plethora of hotels and a eventful camel-safari scene, which attracts travelers looking to avoid the Jaisalmer’s hustle-bustle. 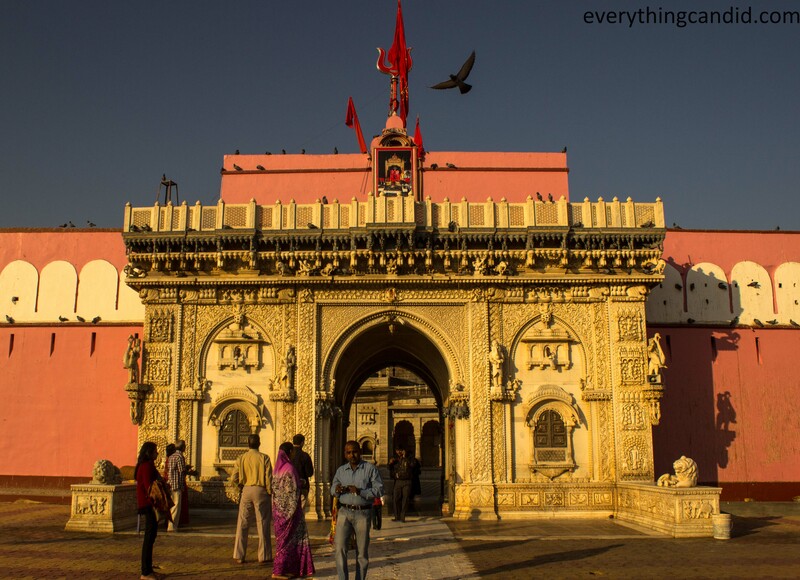 As soon as you ask any dweller of Bikaner about the places to visit in Bikaner, as a fact of reverence first name would be Karni Mata Temple in Deshnok which is 30 KM from Bikaner. Karni Mata, an incarnation of goddess Durga, is the residing deity of the Bikaner constituting a pivotal and constant element of folklore and legends. The temple is famous for revered rats making it one of the most intriguing worship place of its kind in the world. 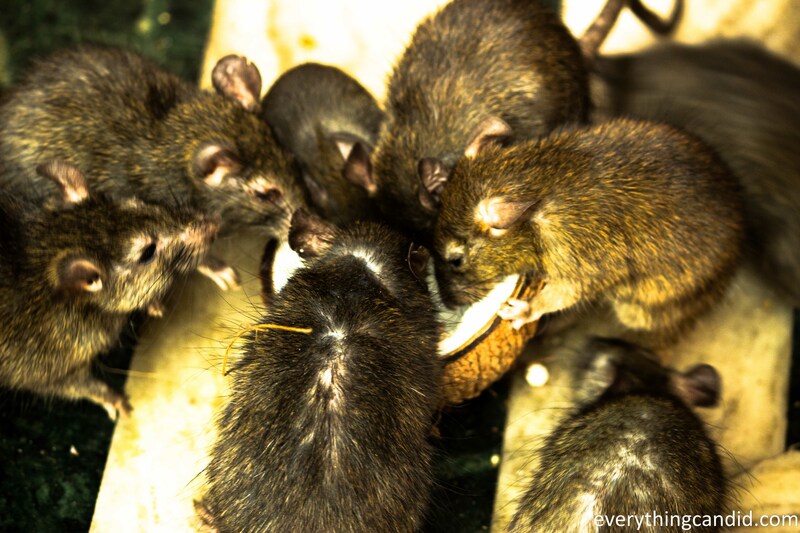 The rats move freely and fearlessly about in the temple and appear from crevices in the walls, flooring and everywhere. The humble presence of thousands of long tailed rats in this temple area evokes myriad feelings and finally makes one to bow his head in reverence dutifully. The most fascinating aspect of this temple is the presence of rats in abundance inside the temple area and complete absence outside the temple gate. I must say it’s the strangest yet most enthralling temple place I have ever been to. Bikaner is 500-year-old town standing still in time and its history is best kept and reflected in the imposing stature of Junagarh fort which was built in 16th Century by Raja Raj Singh the ruler of Bikaner and a general in the army of the Mughal emperor Akbar. Junagarh Fort of Bikaner is indeed the best maintained & managed fort in Rajasthan and it amuses more as you walk through it. Unlike most forts in Rajasthan and elsewhere in India, the Junagarh Fort of Bikaner is not a hill fort but situated on flat land. The architectural style is a fine blend of Mughal, Gujarati and Rajput style of architecture hence it is called a true depiction of composite culture. Many pictorial courtyards and vibrantly colored doors beautify the fort and reflect the wealth rulers amassed all these centuries. Every bit of this fort oozes eons old history making it a standing chronicle of the heritage, rajput royality, valor and grandeur. Following our guide, we passed through many Mahals, Colorful Corridors, Balconies, Windows, Crafted Wooden Doors, Temples, Wall Frescos & Marbled Courtyards and the fee was as if we were walking through a huge art gallery which had been a live amphitheatre since centuries establishing this fort as a centre of art. Some of the attractions inside the fort are Karan Mahal, Anup Mahal, Chandra Mahal, Badal Mahal, Hawa Mahal, Dungar Mahal, Ganga Mahal etc which are a result of intense building activities taken up by many rulers in different eras through four centuries. Each one of them added a new building during his tenure and thus added a new contemporary architectural element creating the composite style of architectural for this fort. Other than these mahals and courtyards, fort has many galleries showcasing armory, shields, photographs, emblems, war souvenir, heir-looms etc. And the final stop of guided tour is the vikram vilas which houses war weaponry and also a Haviland biplane was pieced together from the parts of two shot down DH-9DE Haviland Planes of world war I. This fort is one of the best kept forts of India, partly because last few rulers of Bikaners were on the side of Britishers who were controlling India and hence they could preserve the fort and heritage for the best. This is my analysis and somewhat I feel sad on this aspect, but nonetheless, this one fact at least ensured that rich heritage of India is preserved and thus we now have the opportunity to feel pride over it. Foodie in me has a long and romantic relationship with Bhujia. Being a native of Madhya Pradesh, we take some sort of snacks with our each meal and for me specifically, Bhujia by Haldiram tops the list. So, when I decided to make a trip to Bikaner, I wanted to feel the aroma of the city which has introduced this savory to the world. If you want to explore the world of Bhujia, Stations road in Bikaner is the Mecca for Bhujia Lovers. Every second shop sells this crispy snack which has received geographical indication tag that means one just can’t fry up something and call it Bikaneri Bhujia. The product must have strong roots originating from Bikaner only. One of the leading hindi poet Mr. Ashok Vajpeyee had once remarked that one half of Bikaner’s population is occupied in bhujia making and other half with eating it. His remarkable observation summarizes the significance Bhujia holds for Bikaner. All big boys of snacks industry in India, such as Haldiram, Bikaji, Prabhu Ji, Bikano, Bikanerwala, Bhikaram Chandmal, belong to Bikaner. Interestingly all belong to one family also, and Bhikaram Chandmal is the first shop established by son and grandson of father of the Bhujia Mr. Tansukhdas Agarwal who accidently concocted this savory some 150 years back. So, once in Bikaner, it was in my head to witness the bhjuia making adventure. It was a must do for me. However, I was not sure if any Bhujia Maker would let me enter their secret den as they are very secretive about their ingredients and blending of spices. And then my Camel Safari operator Camel Man, Vijay ji came to rescue and with his contacts he organized a visit for us to see the art of Bhujia Making. This was the high point and while approaching the factory the entire show reel was in front of my eyes connecting my life’s dot with my love for bhujia. We visited the factory location of Agarwal Namkeen which is next to Bhikaram Chandmal in Bhujia Market near Station Road. The entire space was full of aroma which could easily fire hunger in anyone’s stomach. We were introduced to Gulab Singh who mastered the art of Bhujia Making from his father and under standardized a processes he was preparing bhujia. 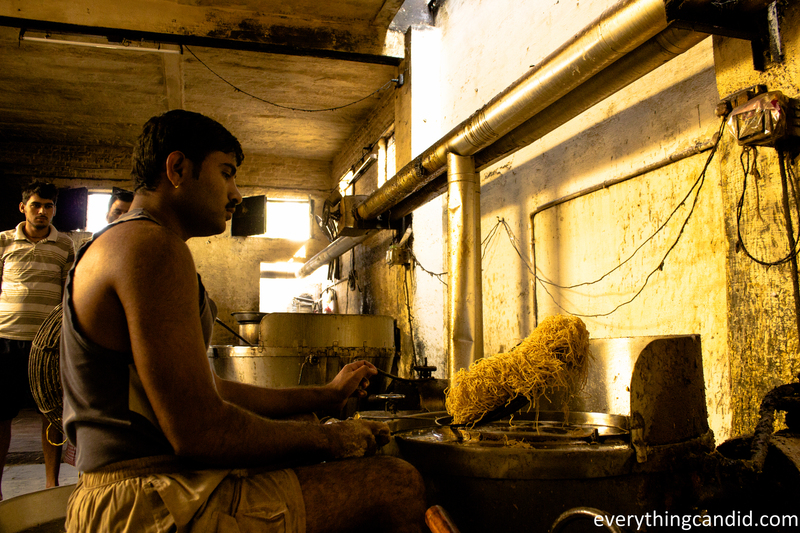 Seeing him doing his job raised goosebumps and we were completely captivated by the sight of bhujia being fried up and coming out of the oil pan. Entire process was quick and done with perfection. People around me are already amused with my love for Bhujia and after seeing bhujia making process and testing the freshly fired bhujia, I am sure my love for Bhujia soon will achieve iconic stature. I am loving it!!!! If Junagarh fort symbolizes grandeur of the royalty of Bikaner, myriad Havalis immortalizes the enterprising and entrepreneurial spirit of the trader families of Rajasthan. These palatial Havelis were built by rich and Numero Uno traders of Bikaner in last two centuries. There are many clusters of havelis in Bikaner and but we deiced to visit iconic and most splendid Rampuria Havelis located inside the walled city of the Bikaner. The Rampuria merchants are said to go in on trade tours for 9 months of a year and spend remaining months in cherishing their wealth in creating splendid mansions for themselves and in showing off their wealth. 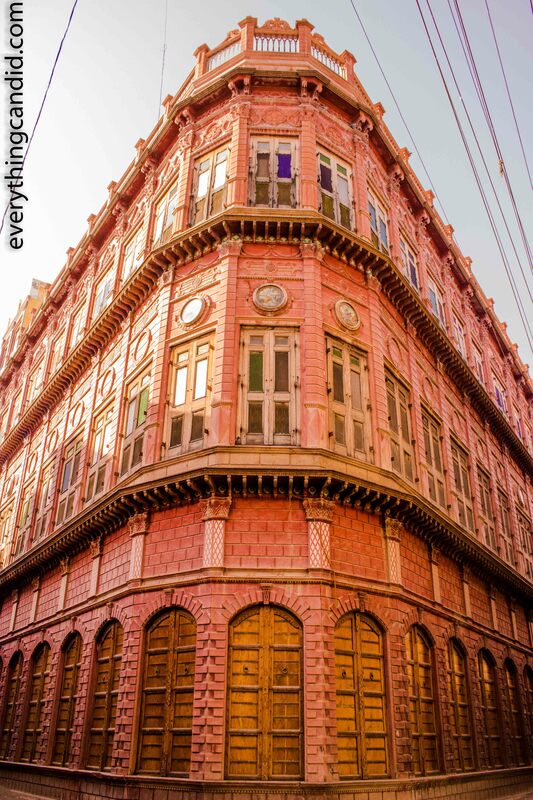 These Havelies are marvels in home architecture and the pride of the Bikaner as commented by Aldous Huxley, the well-known English writer and philosopher. In my view they are the symbol of the centuries old Indian’s entrepreneurial way of living where our merchants ruled the world in spice trading, cotton trading etc which finally was quashed during the British Raj and we forgot our enterprising and venturing capabilities. Anyways, Rampuria Havelies were a delight and thus qualifies in the list of must visit places in Bikaner. One among these Havelis, Bhanwar Niwas has been converted in the Heritage Hotel and offers an opportunity to appreciate the interior beauty if you opt to stay there. Other Havelis are still in control of Rampuria Family and closed for outsiders. As we were not the resident guests of Banwar Niwas, so after a lot cajoling we were finally permitted to enter Bhanwar Niwas and allowed to see only one room and the corridor within five minutes time frame. The interior was stupendous and I must say till date I never saw such grandeur. It was tad too much for me and I took a while to absorb it. Desert safari and camel ride is most fulfilling and humbling activity to opt for when in Bikaner. Desert is a mood change enabler and every hour it imposes a different effect on the psych. Further, desert can best be felt and experienced by sleeping on the sand bed and for this; one must go deep in the desert away from the hustle bustle of human dwellings. Wide spread tranquility and vastness of the nature evoke a serene sense of rejuvenation and lay a path to rediscover the self. The entire setup on the backdrop of the setting and rising sun makes one feel humble and this humbleness lays the path to rediscover self. Echo of the silence is so loud each time while seeing the sun setting from the sand dune or sipping the most fulfilling tea when sun rises in the morning that your ears open up in totality. Wide spread emptiness of the desert shatters the mundane spirit and thus you start to listen your heart-beats again. Camel Man Vijay Singh Rathor is the most reliable and jovial operator of the Camel ride and desert safari. He owns a sand dune 12 KM deep in the desert and his team is well trained in guest hospitability. If you wish, Camel Man can organize traditional music and dance performances also for you to make your night camping more interesting. 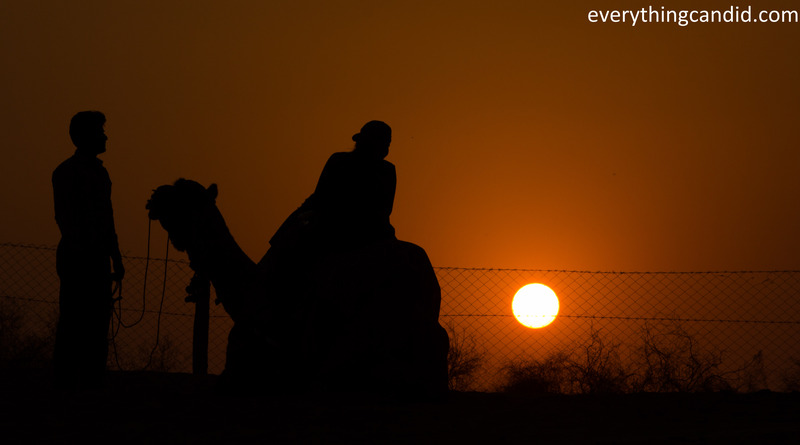 So, Bikaner offers you an opportunity to fulfill you Arabian Nights fancy of riding a camel and camping on sand dunes. 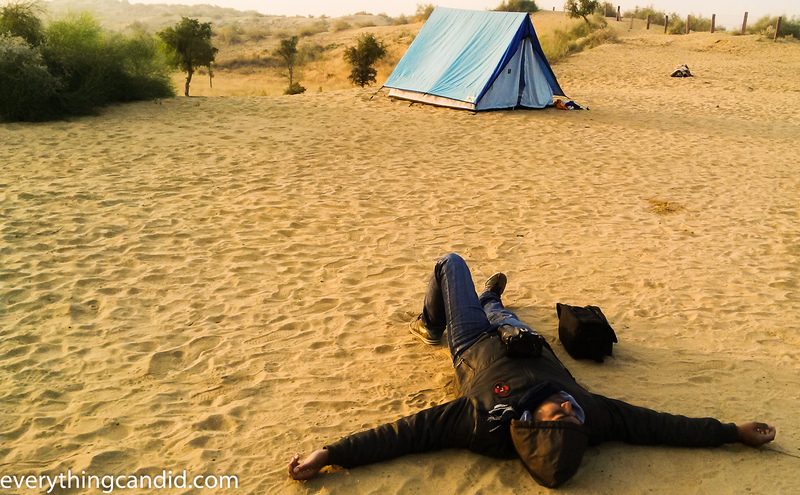 My humble request is to sleep for few hours in the lap of Mother Nature on the sand dunes and don’t miss sun rise and sun set if opting for night camping. 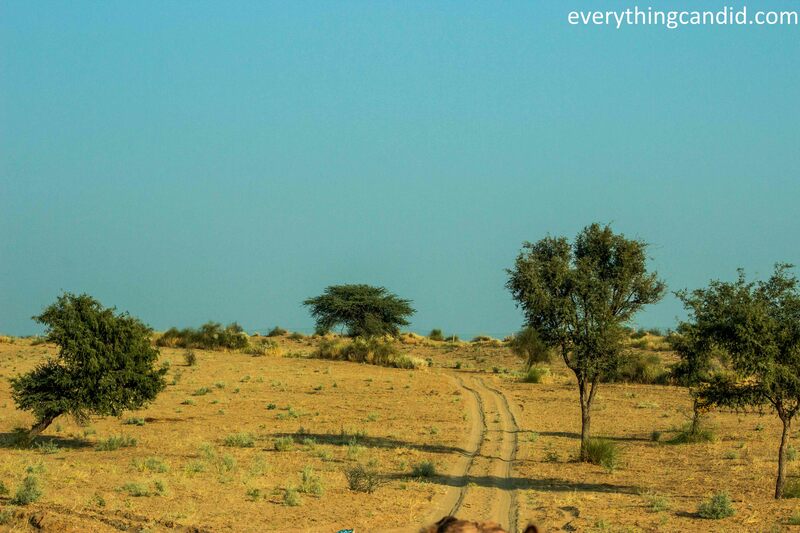 For more detail on my Desert Safari adventure in Thar Desert near Bikaner please click here. The Station Road market is replete with numerous old and famous shops and many small time vendors. Almost every second shop on this road serves some form of food ranging from Bhujia, Jalebi, Kachori, Ghevar to ala carte full meal. This market also offer traditional Rajasthani stuff such as embroidered footwear, leather goods, colorful dresses etc, but as my focus is on food, we will explore food here. 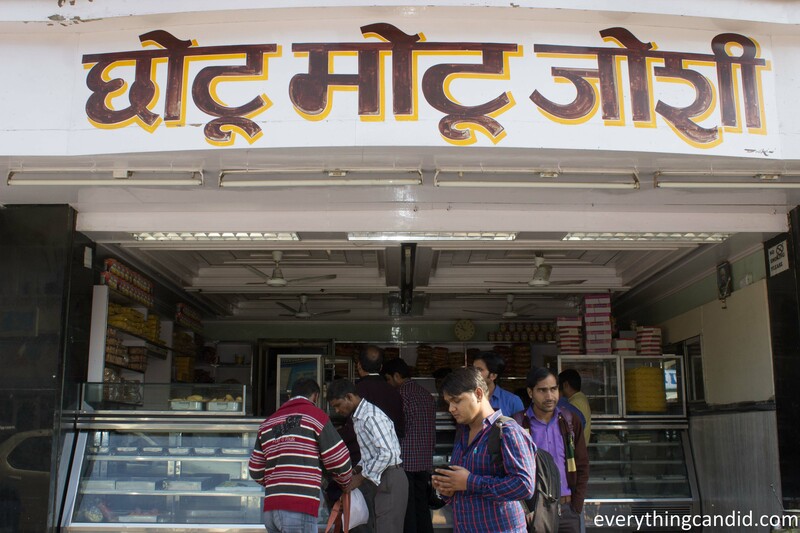 First thing first, Station road boats of hosting all the famous snacks and sweet shops such as Bhikaram Chandmal, Lalji, Heeralal, Sankhla Kulfi Chotuotu Joshi Sweet Shop etc. 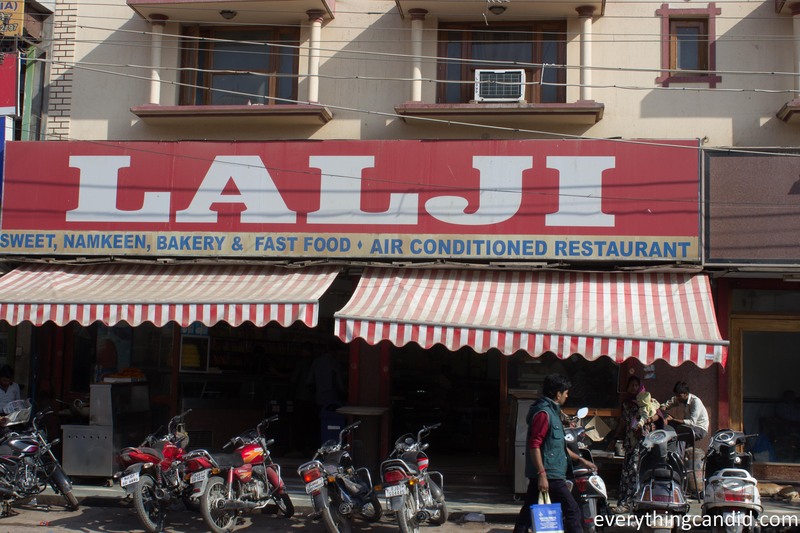 For full meal, one can drop in at Laxmi Hotel which is a dhaba style eatery dishing out perfectly blended Indian cuisine and next to it is Amber which is better in ambience. 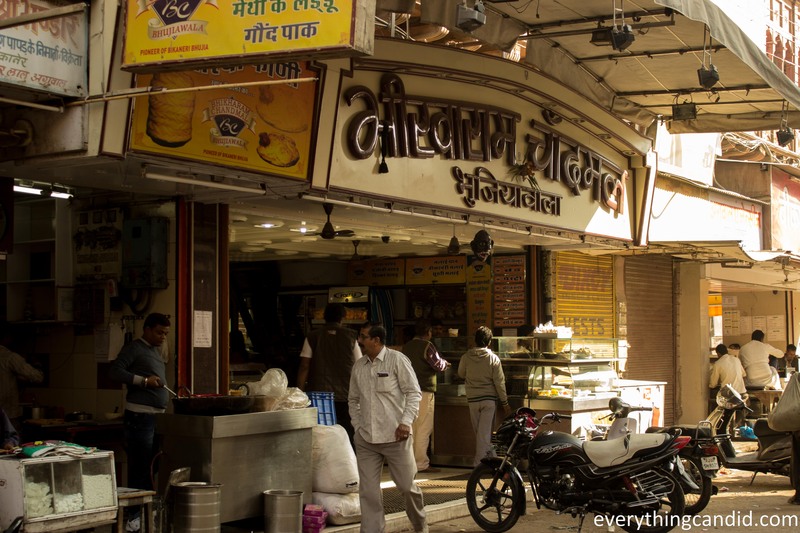 Our recommendations are Jalebi at Lalji, Bhujia & Ghevar at Bhikaram Chandmal, Kulfi at Sankhla, quick snacks like Raj Kachori at Heeralal and Sweet dishes such as Rasmalai, Rasgulla at Chotu Motu Joshi. And guys please don’t try South Indian dishes anywhere and specially at Heeralal’s in Bikaner as they are not good at it. 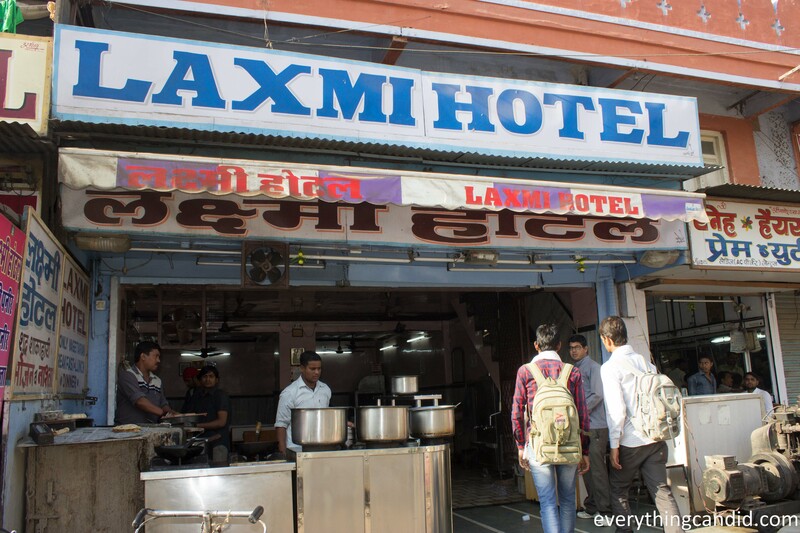 And for full meal, we found complete satisfaction at Laxmi Hotel while trying out one of the Rajsthani delicacy Lahsuni Chatni with Yellow Dal and Tandoor Roti. When in Bikaner, don’t forget to taste Lahsuni Chatni and it will certainly open up all your senses to see, listen and feel the Rajasthan at its best. 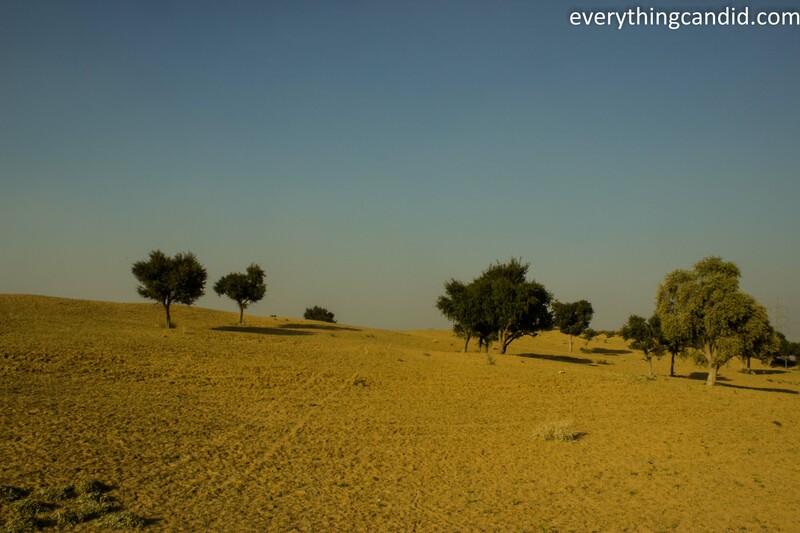 During our first trip to Bikaner, we could explore only this much which though cover most of the important places. Our bucket list had only two elements first witnessing Bhujia Making and second night camping during Desert Safari and both experiences have enriched us in many ways. Our deep realization is that Bikaner is The City of Senses which has the capacity to tickle or trigger all your senses. Colors everywhere is a treat to eyes, aroma of fried Bhujia tickles your nose, Silence of Desert opens your ears to listen more, food to satisfy your taste bud is ubiquitous and when you try to pick fistful of sand from desert you realize you can only touch few things but can’t hold it or own. This is SO fascinating. Each destination unique, and intriguing in it’s own way. Never heard of the word “havelis” before. That is why I love to read blogs such as yours, I learn a lot. They sound extremely magnificent. An overnighter in the desert sounds so appealing. I would love to do that some time. 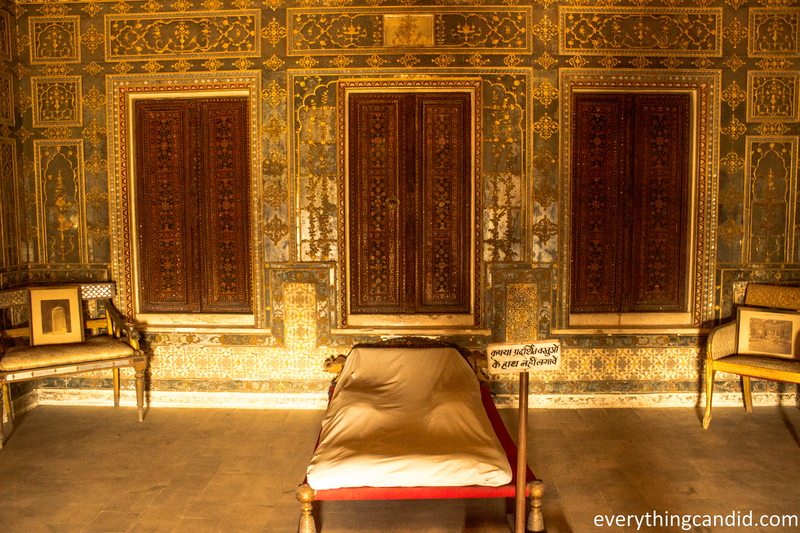 Havelis are palatial mansions in India. I am delighted that you like the post. Rajasthan is treasure of heritage, royalty and History. Rajasthan indeed is a fascinating place with the right mix of breathtaking landscapes, colourful people, fascinating forts and monuments, and an intriguing history complete with royal splendour. It never fails to charm me every time I visit. My most recent was a 2500 kms ride through Bikaneer, Jaisalmer, Barmer , Jodhpur, Ajmer, Pushkar, Jaipur and back to Delhi. One of my best trip ever. 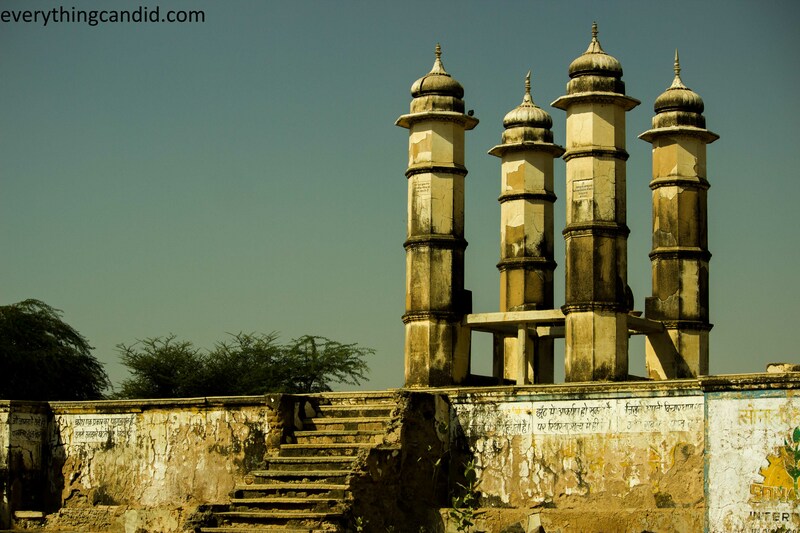 Photographs in the Rajasthan page of my blog. I was reliving the journey again with your post. Nice write up. I would however like to defer with you on Junagarh being the best maintained Fort in Rajasthan. I would reserve that credit for Mehrangarh Fort in Jodhpur. 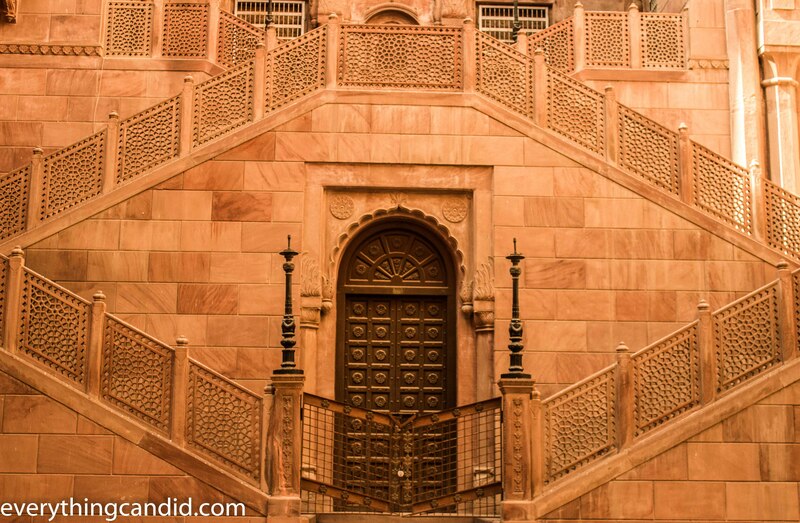 The Umaid Bhawan Palace being the most modern is of course on a different league altogether. Glad to know abt your trip. it must have been great to travel entire Rajasthan. After your feedback on Mehrangarh, i m dying to be there. Thanks for visiting and lets connect more often! Thank you for your post and for teaching about Rajasthan. It seems like such an incredible place, full of unforgettable local and cultural experiences. The food photos instantly made me crave Indian food! Yes its a great place to be at. It offere a lot of variety for travelers. That was a good realization. You can touch a few things but you cannot hold it for your own. That last picture … I love it. 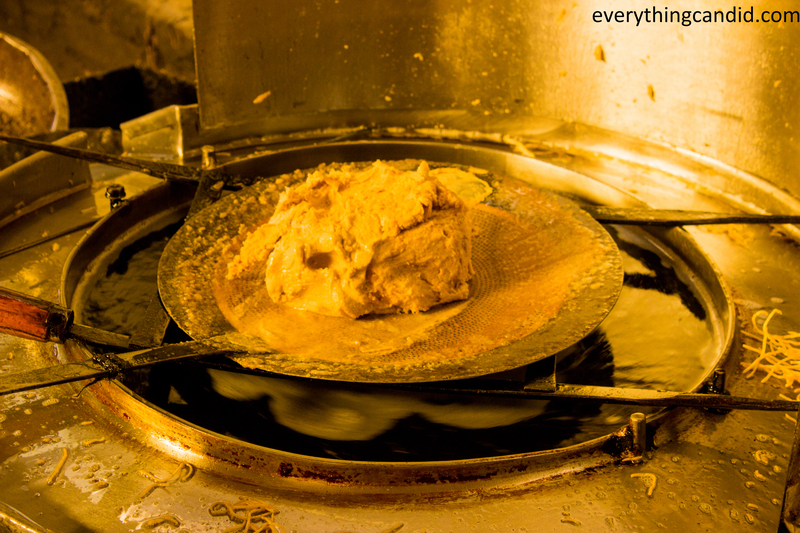 Love seeing this place from your point of view and the making of the Bhujia. Thanks Jema for your kind words. Thansk for your apprecation. Bikaner is awesome place to visit and has alot to offer to every kind of traveler. I agree, Bikaner is a must. Rajasthan is a must. Lovely photos! Thanks. Rajasthan is the crowing glory since ages among many tourist destinations of India. Lovely post and great writing, but I don’t think I could visit the Rat Temple! No thanks. Rats everywhere is not for me. thanks. And i can understand… but u may only appreciate once you are there. Its one of its kind of place. Oh noes. A temple full of rats! That must be crazy. Beautiful desert sunset! Thanks. It was really crazy. That sounds like a really incredible trip to take. I didn’t know about any of those places, but your pictures are fantastic. Those rats must love their house! Haha. Yes Rats love the place. I can see from your passion for this part of India that a Westerner like myself would need a guide to capture some of the pleasures there – architectural, natural and culinary. 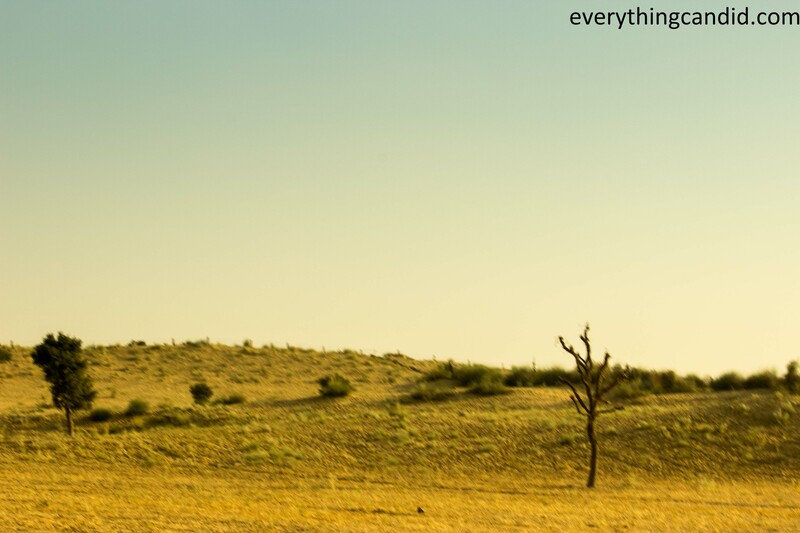 I indeed love Rajasthan and if you need any help… do connect with me…would sort it out for you. My favorite thing to do when I travel is sample the foods of the local people. I would love the opportunity to taste bhujia and see it being made. Food tells a lot abt the culture. I am glad that i could inspire you for Bhujia. Thanks for the post, i love this place. Rajasthan is a beautiful place full of tradition & culture, history, and attractive tourist places. This is must visited place in India. It is also know as Land of Kings. Oh my gosh I’ve heard about that rat temple before- I don’t think I’d be brave enough to go in! Rajastan looks so magical. You are so right that it is mankind that has filled Rajasthan’s dessertlike landscape with all the wonderful colour you could hope for. 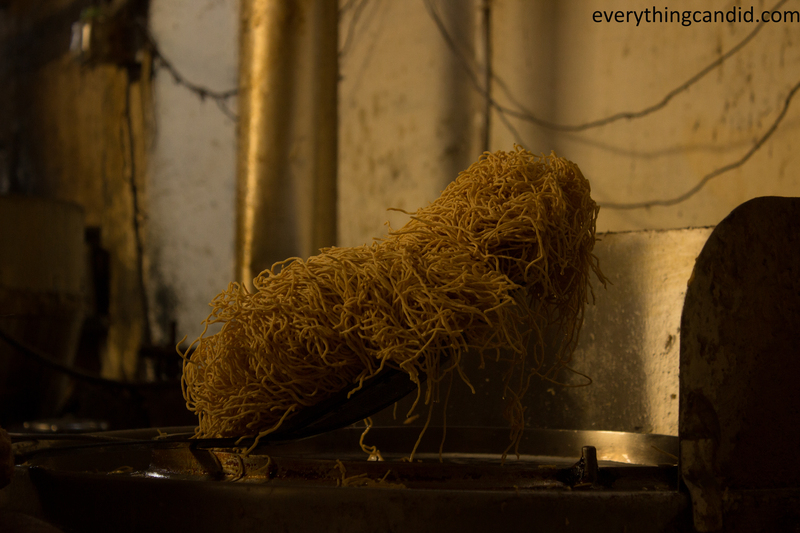 You know, I had no idea that Bikaner has that association to bhujia, this is so interesting, and I bet you enjoyed sampling some good ones around the place? I love that quote about half of the population making it and half eating it!!! I would love to visit a factory too, such a great extra activity against visiting all the usual historical and architectural wonders. The desert safari I have not tried in this part of the world, especially by Camel but looks a lot of fun! A magnificent place but to be honest, the rats kind of scare me. I hope they don’t really try to get near you. It is, however, a majestic place. Thanks Kristie for your comment. Here Rats are more disciplined than the humans. Wow! That Bhujia is really mouthwatering! Gotta try and find this somewhere in Europe now… perhaps at an Indian restaurant? Although, I have never heard of it before, so I guess my quest will be difficult to fulfill. Oh well, perhaps a trip to Rajasthan is to be planned soon! Certainly you will find Bhujia at some Indian grocery shop in Europe specially in Britain. I was going to say I am hungry for Bhujia. I have loved those since I first had them, but then I got to the rat temple. I am not sure how I feel about a rat temple. It seems like such a strange thing, but I would totally go in to it. 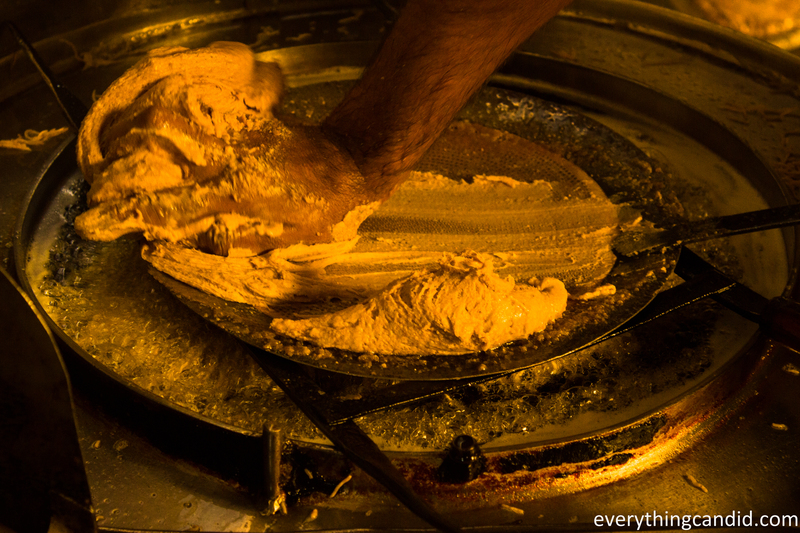 Rajasthan sounds like a fascinating place, I would love to explore India – and eat all those tasty street food snacks! The rat temple would creep me out a little I think just to see so many rats in one place – why are they so revered in this temple? Rajasthan is such a melting pot of colours and flavours, it was one of my favourite regions in India! 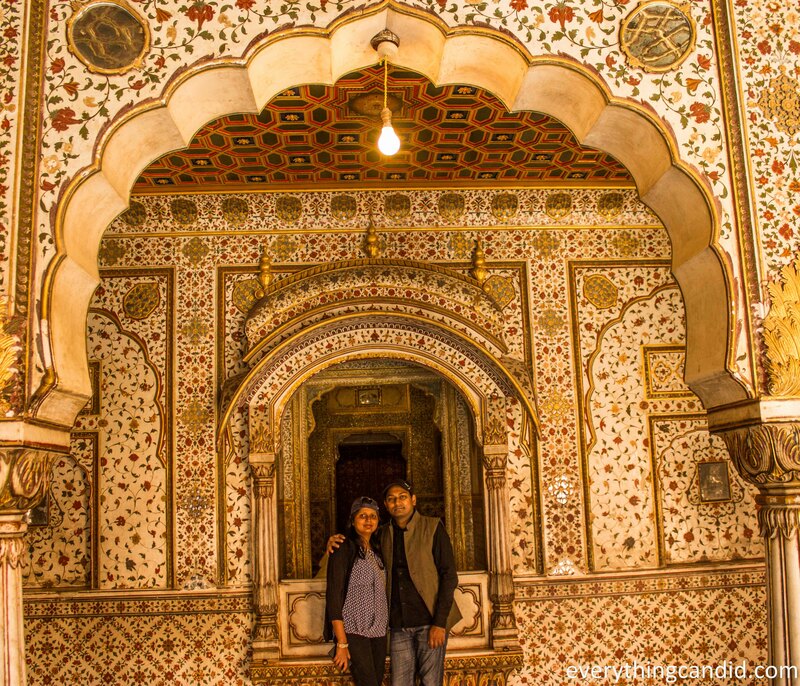 I didn’t get the chance to visit Bikaner but reading this post makes me want to go back and check it out. The rat temple sounds like an interesting experience, I’m sure one that a lot of people would pass on! Somehow Bikaner has always eluded me out of all the major Rajasthani cities. Loved the magnificent fort. Rajasthani forts never disappoint and nor does the food. Some day I would like to do a long desert safari from Bikaner to Jaisalmer. Is that even possible? Yes Bikaner to Jaisalmer is very much possible. Get in touch with Camel Man – Vijay or his son from Bikaner. If you wish i can connect you with him. A little over a year ago, Darcee & I spent several days in Rajasthan. We mainly visited Jaipur, Jodhpur, Jaisalmer, & Udaipur and absolutely loved the region though it was a wee bit cold in January. I think for us Udaipur was the highlight for us. With that said, I would love to return to the Rajasthan region and explore Bikaner. 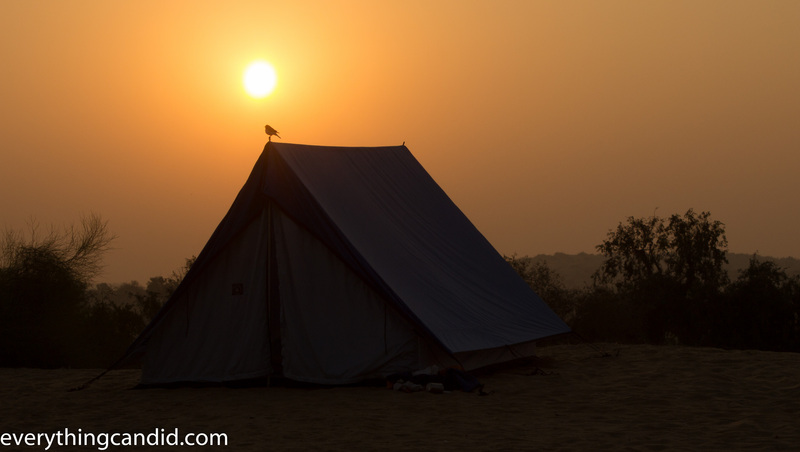 I love destinations in India that are perfect for explorers like us! I love the Fort and the city surrounding it. If the food is anything like what we had in the other cities of Rajasthan, then it would be a heaven for us cause we loved all the local cuisine we had! Thanks Eric for the comment. You must plan for Bikaner also some day. One of the things you can only experience about a place are the aromas. I like how you describe what the places smell like. The rats wandering the temple is unique, not sure how I would feel about that till I got there. The Junagarh Fort is more my style, I love history and beautiful architecture. Riding a camel and camping in the desert sounds like a blast too! Trust me, Bikaner has alot to explore and you can call it a treasure trove of history and heritage. 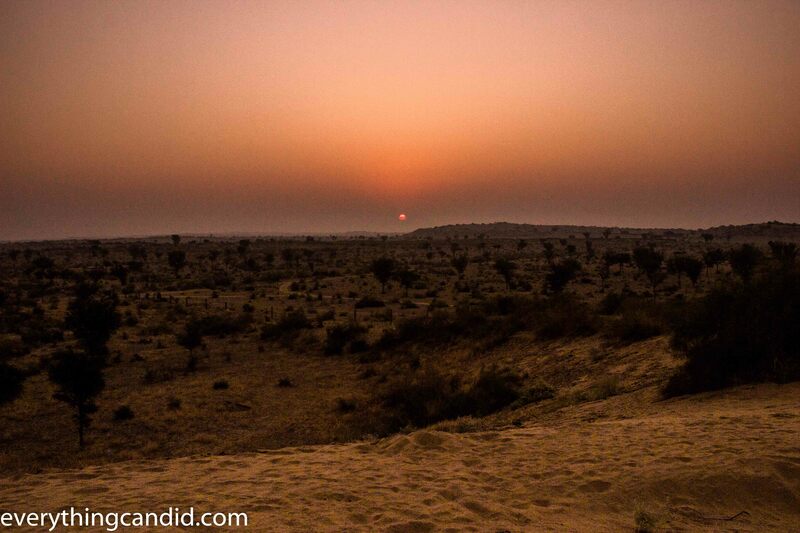 Rajasthan represents an incredible adventure for us: I see your pictures and I’m even more convinced of this. While I’ve read a lot of Jaipur and Jodhpur, I never heard of Bikaner before. With desert, a fort, a temple, camels and a great gastronomic pedigree, it looks like it has everything one might want! Indeed, Bikaner is a bit underrated though it offers immense opportunity to explore. I can’t wait for the opportunity to visit India, and am really looking forward to a road trip through Rajasthan. Bikaner will definitely be on the itinerary, especially as we are big fans of history. Karni Mata Temple in Deshnok makes my skin crawl lol but it would definitely be interesting to see! I’m really looking forward to taking photos around Junagarh fort though, and a desert safari and camel ride sounds like a great way to add some adventure into the trip. Thanks for sharing your journey! I strongly believe that now you must plan your India trip soon. You gonna love every moment here. Thanks for commenting!! Love how you started this piece, the colours of Rajasthan as natural gold plus humanity’s most vivid colours! I don’t think I have visited Bikaner, though, even with family in Jaipur! My parents always bring back bhujia by the sack-load though so I think they are keen on its most famous product! Karni Mata Temple is beautiful, a bit different in style to ones I have seen before. Junagarh Fort looks very photogenic. And as for food, I’d be on the bhujia, the jalebis, the kulfi and all of it! I just got back from a trip here – my second time and absolutely loved it. Exploring the Havelis was my favorite from this time. Junagarh fort I had done the last time and I absolutely loved it. I think it is one of the best forts of Rajasthan – at par with Mehrangarh fort. And of course, the food is a delight here. Well done with the guide. Looks like a mysterious and magnificent place at the same time. After all the great posts I’ve read about India I am convinced I should add this country to my list. I was a little reluctant in the beginning because i’ve also read many negative reviews. But judging by your passion for this place, I think I should give it a chance. This is a whole other world for me! I’ve never been to India, and it definitely fascinates me. I need to go all over India! The temple with the rats kinda freaks me out, but I’d still go. 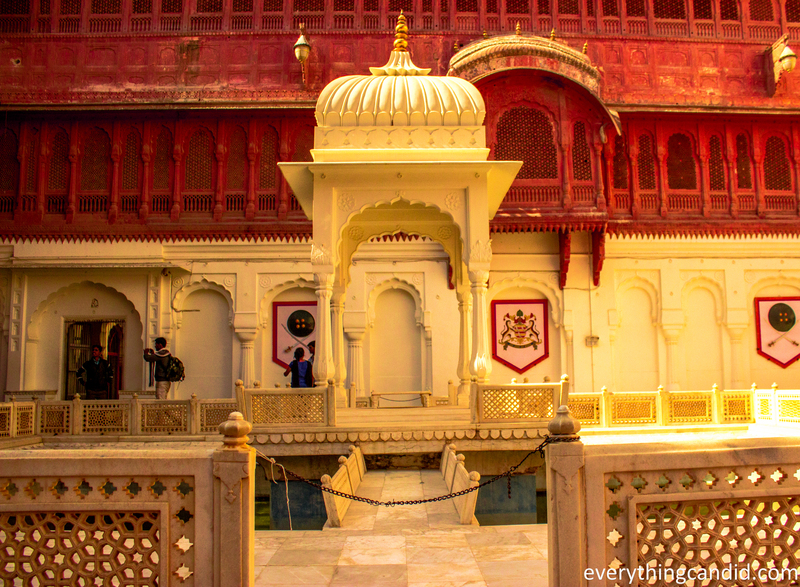 Junagarh fort also looks really incredible – such intricate design! Bikaner looks incredible. The colours are so different to what I’d experience in a European city, and you’ve really conjured up a picture of the whole scene – the smell, the feeling! I’m not sure I feel quite so excited about the rat temple, but I’d experience anything once so it feels like a thing I’d have to be brave and do! What a great point on the color note Himanshu. I see so many vibrant colors around the region but never thought of man-made influences at play here. Sans humans, God made it a drier paradise, with that gold hue you speak of. Amazing region. Thanks Ryan for this nice comment. I love this part of India.